Healing Power: Green Topaz stimulates an endocrine system. It assists in general tissue regeneration. Topaz is valuable in the treatment of hemorrhages. It also increases poor appetite and helps fighting blood disorders. Occurence: Brazil and Sri Lanka. Green topaz is found in Pakistan and Russia. 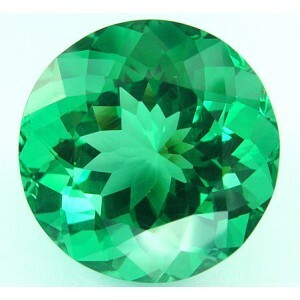 Color:Green is available in large carat sizes and has enjoyed a comeback in expensive jewelry creations.